Many names has the Dragonfly, many changes happen from its watery creation, to the gossamer winged creature we see in the summer months. From the water to the air the Dragonfly is born. What was created in water fly's in the sun the creation of beauty for healing. Dragon Fly totem has the power to guide us through the mists of illusion to transformation. 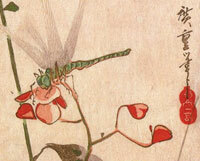 Wisdom, enlightenment and communications from the spiritual world come to us through the grace of the Dragonfly. 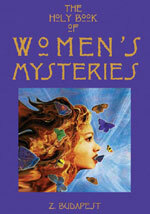 Dragonfly is for women's healing and has the power to move in many directions or stand still in the air and hover. 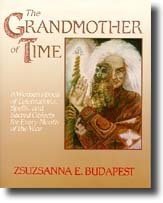 All things that have this gift to stand sill in the air or move where they need to do are of the women healing powers. Humming Bird (Tahnah he lah) and the honey makers of the bee family (toohmahgah), have this power also. All these things that Creator gave the power of standing still in the air have this power. 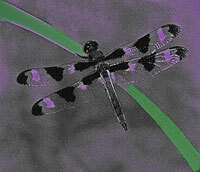 The Dragonflys have brilliant colors and are the ones that bring the healing to us from the Creator. Small and delicate these little Dragonflies hold powerful gifts for healing. . The beautiful colors of the day is captured in there bodies and rainbow wings. 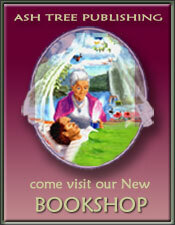 Sitting in the sun near a river or water way you may be gifted with a visit from these healers. Watch where the Dragonfly lands on your body it may chose to light on your arm. Thie may be a place you have pain or discomfort. It could also mean you need to stretch your arm to include some new and good things in your life. Many times when in the wilderness or working in my garden they have come to comfort me and to sit with me in the sun. I always stop what I am doing and stay very still until they have told me what they came to say. I feel at times they are like my Grandmothers coming back to help all who are still here waiting. Through the journey of life Dragonfly is here for you listen to and learn from her. For the healing of the women. Transition means change and it is a paradox that the constant cycle of life is assurance of neverending change. My first paintings seem to have an ethereal look to them but even then I was exploring the concept of light vs dark, and the idea that we remember we are whole and balanced when we recognize and embrace both the light and dark aspects of life. Suzanne© "The artist who paints the magic of life"
Click here to visit the menopausal art gallery!